We have an experienced team of experts in the Commercial Broker industry, who are here to help you succeed in the Brokerplan Network. Richard has wealth of experience having worked in the financial industry for over 15 years. He began his career working on the counter of a well-known high street lender, then working his way up to mortgage adviser and finally Branch Manager. His passion is working with customers and advising them on getting the most suitable deals. He therefor decided to leave his job to pursue a career in giving mortgage advice, firstly through an estate agent and now with White Rose Mortgages. Richard is a proud family man, who enjoys spending time with his wife and 2 young daughters. Being Welsh, he has a keen interest in Rugby Union supporting the Welsh team through all the ups and downs (mostly downs). 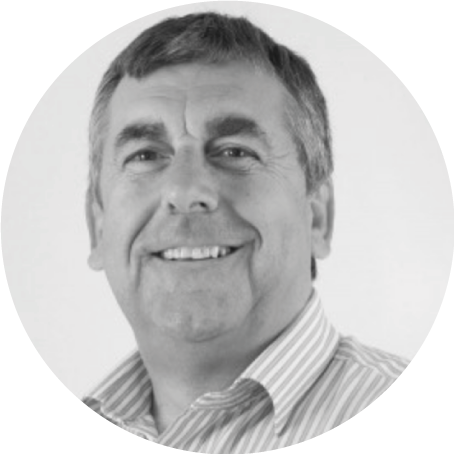 Steve has over 30 years of Senior Management & business knowledge in the Finance, Insurance and Asset sector markets, working for companies such as Close Brothers, Car Care Plan & CAP/HPI. He is a former Fellow of the Institute of Sales & Marketing and The Motor Industry. Steve has a specialist understanding of Asset, Invoice finance and business loans sectors and leads on these aspects as well as helping develop our general portfolio of property business. He is a real people person with a sporting background in Rugby Union, Cricket and Golf. He loves an Autobiography and his favorite films are Shawshank Redemption, TopGun and Kes. Julie has a wealth of experience in the financial sector. She is CeMAP qualified and has previously worked as an Independent Mortgage Broker. She has also worked as a Money Advisor on the Government’s Money Advice Service contract. Julie joined the team in April 2018 as Mortgage Administrator to help progress the regulated mortgage applications and ensure they run as smoothly as possible. Previously with Wescot Credit Services Limited, Claire brings with her an in-depth understanding of the financial industry. Claire is involved in many aspects of bringing new Partners on board including branding and FCA registration. Claire provides an important liaison with partners around their training requirements and provides ongoing support to help get the most from their businesses. “Prior to joining Brokerplan my roles were as a Commercial Lending Manager with over 36-years of experience within the corporate/commercial Banking sector, 29 years of which were spent working for Lloyds Bank. During this time, I successfully completed the professional banking exams becoming an Associate of the Chartered Institute of Bankers in 1990. In 2011 I joined Handelsbanken as a Corporate Manager, establishing a new office in Wetherby, West Yorkshire. Immediately prior to joining Brokerplan I worked for 4-years as a Real Estate Lending Manager at Aldermore, specialising in complex Buy to Let, Commercial Investment and Commercial Owner Occupier proposals. My initial responsibilities will be to concentrate on those real estate/property transactions for investment and owner occupiers but I will of course be there to assist with all forms of business lending.